However the athletes secret wasn"t a syntheic hormone to boost their physiologies to new heights, nor was it some "miracle" exercise routine (though their coach was well known for pushing them to the limit... there is no substitute for hard work!). A huge debate ensued and after much scrutiny, it was found that the athletes weren"t taking drugs at all. Instead the world found they were taking a rarefied extract of a Chinese herb, known as "Caterpillar Fungus" (AKA, Ophiocordyceps Sinensis)... an herb used for hundreds of years in Chinese and Tibetan medicine. Well, that could have something to do with the ASTRONIMCAL cost the wild mushroom comes at (currently upwards of $250 per GRAM!)... in addition to the black market trade that has errupted from the masssive demand for the wild mushroom (certainly not ethical). Fortunately modern science has presented us with a more cost effective solution... one that comes as close as possible to replicating the power of real, wild Ophiocordyceps Sinensis. 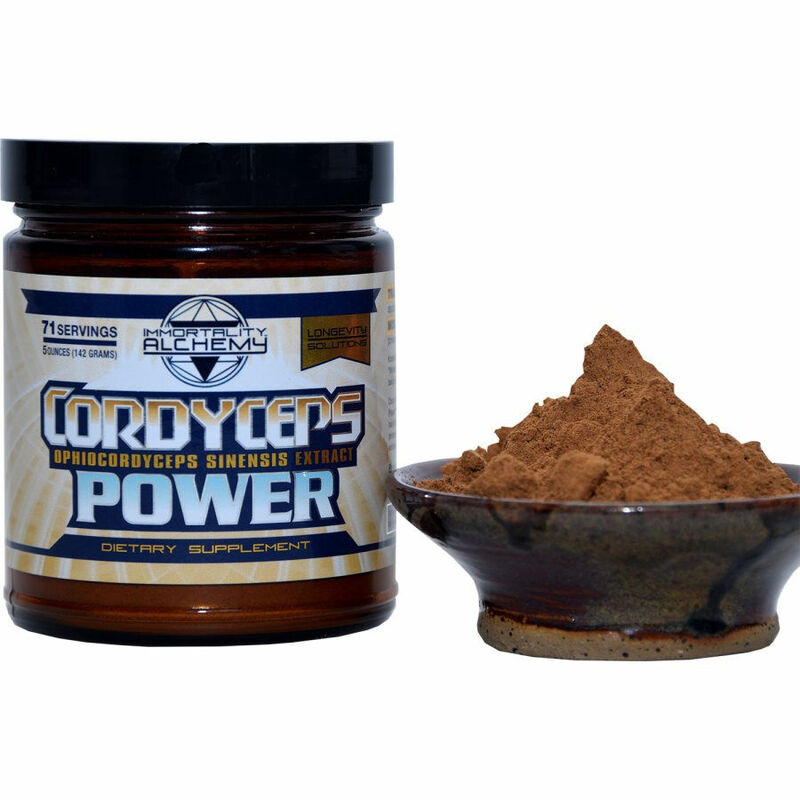 Advanced mushroom cultivation and fermentation technology has been developed to unlock the power of cordyceps by growing it on a polysaccharide rich liquid medium. While this doesn"t allow for us to use the fruiting bodies (yet), it is currently the most effective way of getting a high quality mycellium extract that is pure, organic and without mold, bacteria and other contaminents (very common in wild cordyceps). 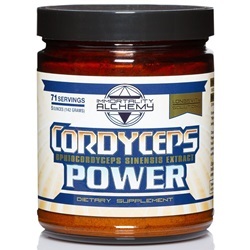 Cordyceps Power is the preeminent ophiocordyceps extract using this technology, finally making a high quality organic extract (not just substandard mycellium powder, as most other products are made of) available. By starting with the original strain used in Tibetan and Chinese medicine, fermenting the liquid medium in which it is grown, and then extracting this "mushroom broth" at a 10:1 ratio, we end up with a powerful and standardized extract you will feel within minutes of your first dose. 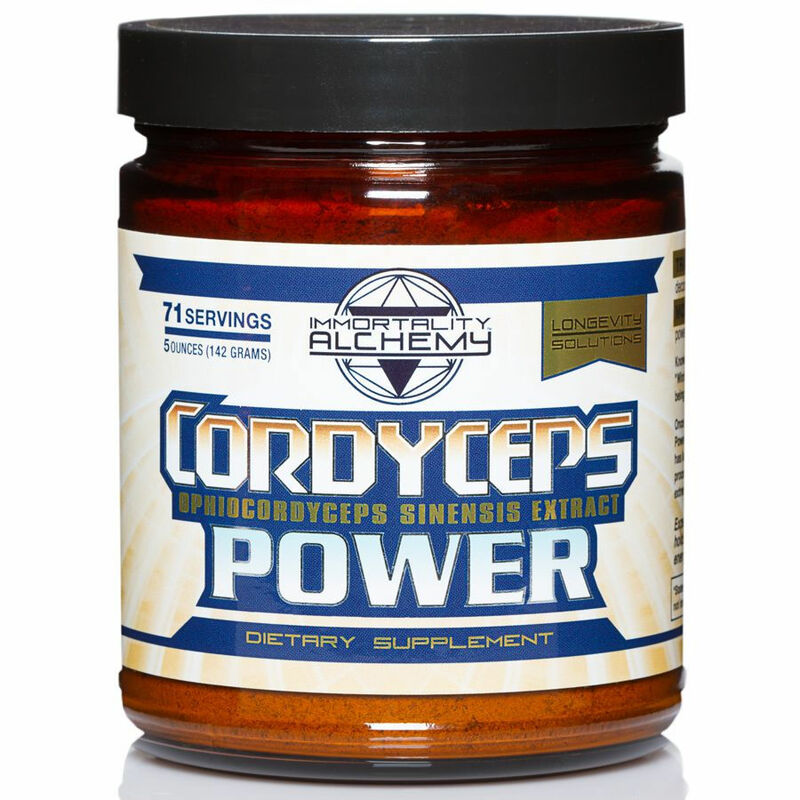 Fortunately, you don"t need to be a scientist to reap the benefits of taking Cordyceps Power. By consistently integrating this herb into your diet, the cumulative effects will be come apparent, and you will be able to experience why this herb has been treasured for generations as a superior tonic for physical performance, busting stress, and taking your energy levels to the next level! Take 1/2 teaspoon 2 to 3 times per day in hot water, or with juice or a meal. Traditional herbal combinations include rhodiola and ginseng (though the vast majority of consumption is just done with the singular herb). Always remember to start with smaller amounts and work your way up over the course of a few weeks to get the best results! 1 three inch piece of wakame (or dulse, laver or sea palm... whatever you love the most!). In a medium sauce pan, heat plain sesame oil. Add in garlic, ginger and shitaki mushrooms. Let cook for about 3 to 5 minutes or until the mushrooms begin to 'sweat" (release their water). Once this happens, add in the shoyu, mirin, Cordyceps Power, water and seaweeds of your choice. Let the mixture come slowly back to a simmer for another 5 to 8 minutes. Once the cooking is done, turn off the heat and let rest a minute before stirring in the miso (you do this to help preserve the probiotic nature of the miso). An easy way to do this is to ladle off some of the broth you have made so far and add in the two tablespoons of miso and dissolve it into the smaller amount of water before adding it back into the large pot. Allow the miso to intermingle with the rest of the flavors for a few minutes and serve while still hot and garnish with a few drops of toasted sesame oil. This soup goes great with wild sashimi or just by itself on a chilly evening!